Liberal Christians, Why Not Stand up for Your Own Faith for Once? In my podcast today I extend on a conversation we began a few days ago. 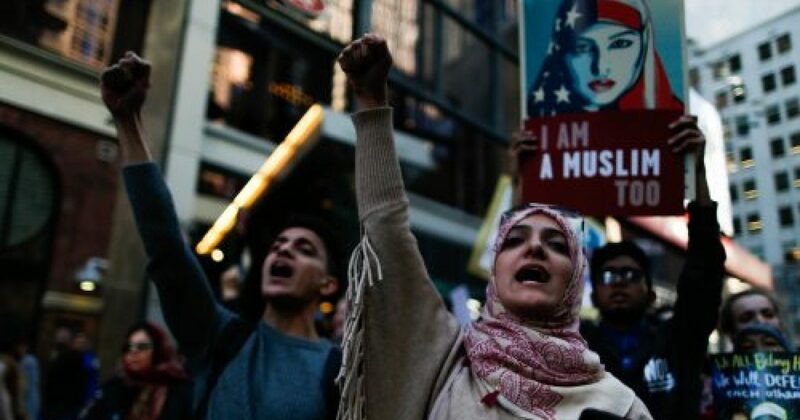 This past weekend, there were dozens of “I Am Muslim Too” rallies across the country, where people who were not necessarily Muslim still marched with signs saying “I am Muslim” in solidarity with Muslims who, they claim, are being persecuted by Trump’s proposed travel restrictions. It stands to reason that a large portion of the people who marched for Muslims with “I am Muslim” signs were Christian. In fact, after I wrote about it, I heard from a good number of self-professed Christians who confirmed that they did participate. There are two problems here: The first, as I said, is that a Christian may not ever proclaim a faith identity other than his own. It doesn’t matter if you’re being “symbolic.” To say “I am Muslim” when in fact you are Christian is to, in effect, renounce your faith. Second, and this is my larger focus today, how many of these Christians who are not “standing for Muslims” have ever in their lives stood for Christ and their church?